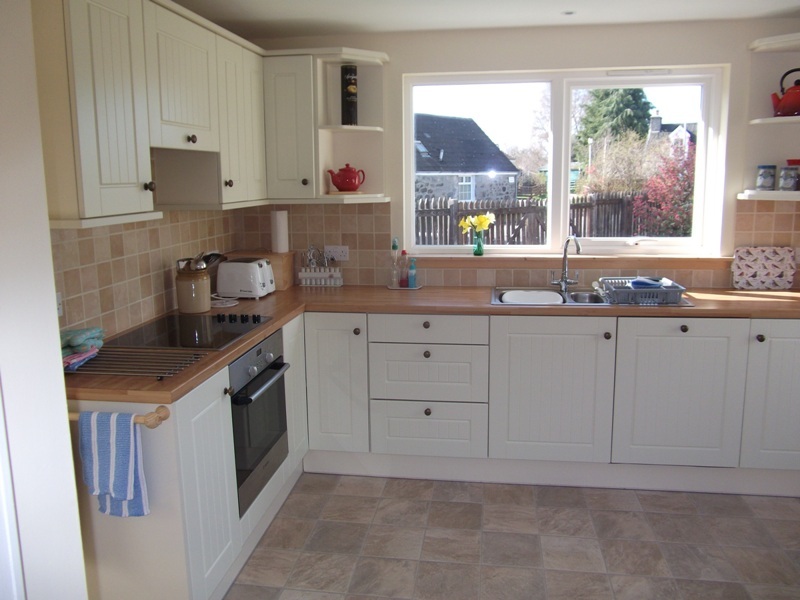 The cottage provides comfortable and attractive accommodation for up to six people. 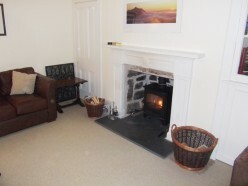 Downstairs there is a sitting room, dining room, kitchen and utility room, a small double bedroom, and a shower-room. 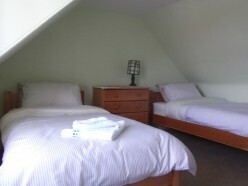 Upstairs there is a double bedroom, a twin room, and bathroom. 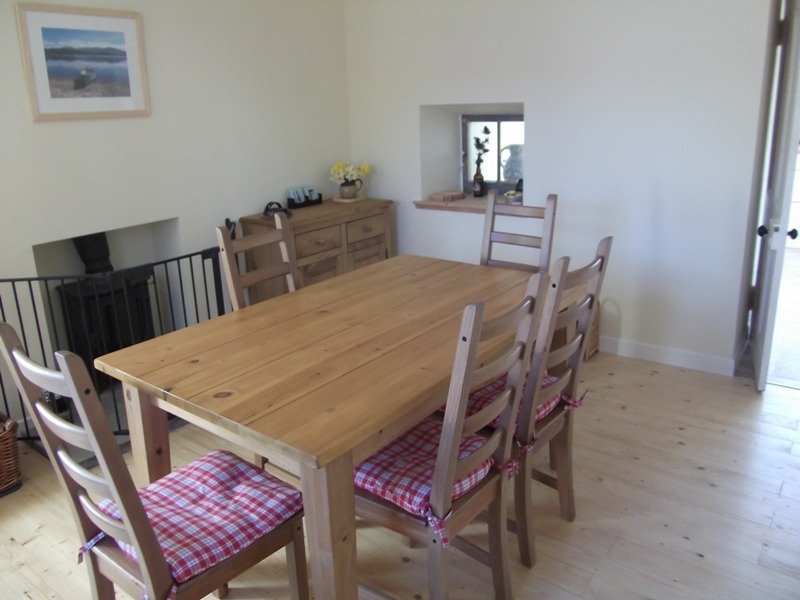 The dining room has a wood-burning stove (firewood provided) and is adjacent to the kitchen extension which is well equipped with modern appliances. The sitting room is comfortably furnished and on winter evenings, visitors can relax in front of a second wood-burning stove. 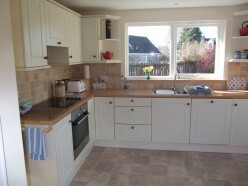 In addition to the stoves, heating is provided by way of night storage heaters and convectors. 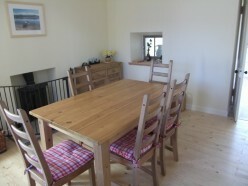 The whole cottage is double glazed.